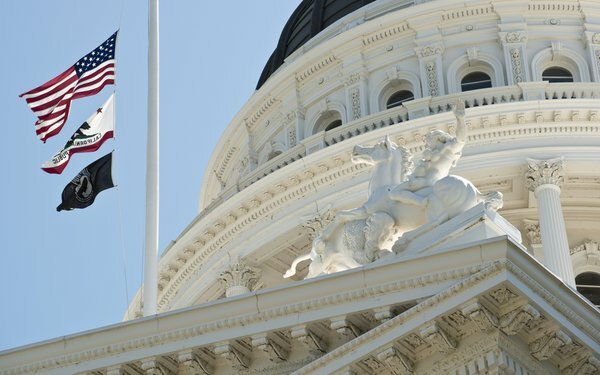 The ad industry is urging a California lawmaker to retreat from her proposal to allow consumers to sue companies that violate the state's new privacy law. The California Consumer Privacy Act, passed last year and slated to take effect in 2020, gives consumers the right to learn what information has been collected about them by companies, the right to have that information deleted, and the right to prevent the sale of that data. The law also allows requires companies to take reasonable data-security measures. The bill in its current form only allows state residents to sue over data breaches caused by a company's failure to implement reasonable security. But last month, state Senator Hannah-Beth Jackson introduced SB 561, which would also allow consumers to sue companies that fail to provide consumers with their information, don't honor requests to refrain from selling the data, or violate other provisions of the law. That expanded right to sue “would encourage frivolous lawsuits” by empowering consumers to sue even when they haven't been injured by the alleged activity, the Association of National Advertisers, Interactive Advertising Bureau, American Association of Advertising Agencies, American Advertising Federation and Network Advertising Initiative say in a letter sent Tuesday to Jackson. They are asking her to reconsider her proposed legislation. “Without a requirement to suffer some harm or injury from a violation of the CCPA, there will be nothing to stop individuals and plaintiffs’ attorneys from filing frivolous lawsuits against companies for violations that have no impact on privacy,” the organizations write. But others, including state Attorney General Xavier Becerra and digital rights groups, say consumers should be able to sue over privacy violations. “Ordinary technology users should have the power to decide for themselves whether to bring a lawsuit to enforce their statutory privacy rights,” the advocacy group Electronic Frontier Foundation said earlier this year in a blog post discussing the California Consumer Privacy Act. The California Senate Judiciary Committee is slated to take up Jackson's proposal April 9. 1 comment about "Proposed Change To California Privacy Law Would Encourage 'Frivolous' Suits, Ad Groups Argue". Tracy Rosenberg from Media Alliance, April 3, 2019 at 6:39 p.m. It seems like a bit of an odd argument that a lawsuit against a company for failing to disclose where a consumer's data is being sold after they ASKED, or refusing to stop selling it after being instructed to do so, is a frivolous lawsuit. What is frivolous about it? The Attorney General of California, basically an expert on what constitutes a frivolous lawsuit, is saying that this change is necessary for consumers to be able to exercise their privacy rights under CCPA. Shouldn't be controversial at all. Industry groups should cease attacking this much needed change. The days when willfully violating a consumer's privacy was an unenforceable crime are coming to an end in California. And not a moment too soon for most Californian's - 95% of whom are deeply worried about what companies are doing with their data.